The Netflix original series "Sense8" is, according to William Bibbiani, one of the best and most important television shows of the decade. It's a science-fiction story about eight completely different people, from all over the world, who suddenly discover they have a psychic connection. Now, they share each other's passions, their problems, their skills and their lives, and learn just how big - and just how small - the world really is. The series finale of "Sense8" is now available on Netflix, and in his latest video appearance on What The Flick? 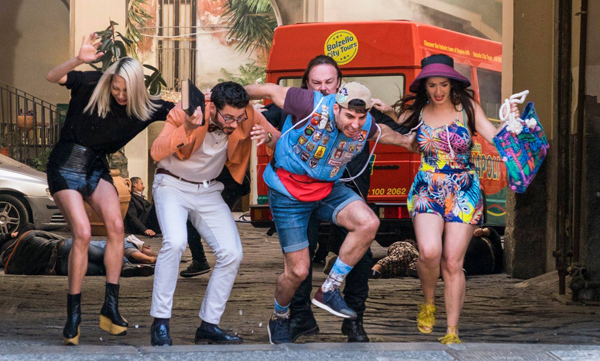 !, William Bibbiani and Alonso Duralde talk about what the show accomplished, the difficult job the showrunners had in finishing this series in just 2 1/2 hours, and why we need a show like "Sense8" now more than ever.